Celebrate the anniversary of Apollo 11 with gripping radio fiction, Peter Bochan's remixed moon-landing montage and an ambitious special from WHRV. 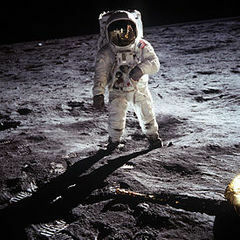 This 1-hour radio documentary celebrates the moon landing through the eyes of those who witnessed it and the memories of those who contributed to its success in ways large and small. A Shortcut Back To 1969 -"The Lunar Module"
This program, Part 1: "Washington We Have A Problem" looks at the battle to keep the Apollo space program funded and on deadline.